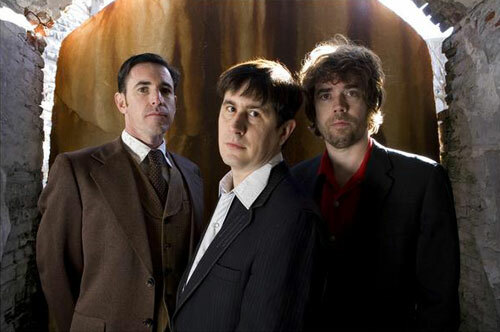 Live Concert Review from The Daily Page: The Mountain Goats (11.6.09) | True Endeavors Presents: music, tours, tickets, mp3 downloads, concert pictures, videos, Madison WI. “It was the perfect night for Mountain Goats front man John Darnielle’s songs of sympathy for sinners. Darnielle looked crisp and casual in a burnt orange suit coat, jeans and leather moccasins. He’s always been a non-believer who’s very convincing. His renderings from the new, Bible based-release, The Life of the World to Come are particularly good vehicles for that sensibility and were sprinkled throughout the 18-song set,” says The Daily Page‘s Andy Moore. Click here to read the rest of his review of the recent sold-out show.